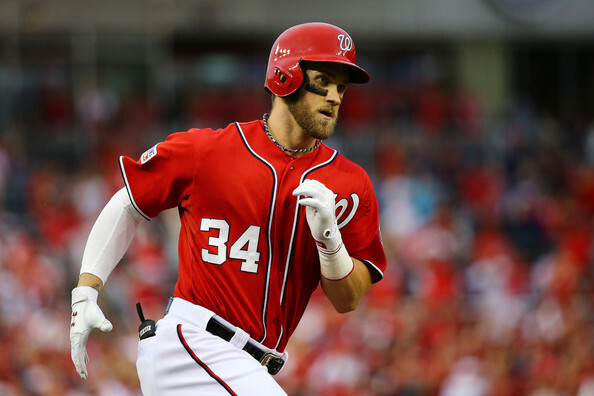 Home / Washington Nationals / Bryce Harper says he’s going to bring a title to D.C.
Bryce Harper says he’s going to bring a title to D.C.
You can never roll your eyes at the brash optimism of a young player in the spring. In one breath, the WaPo is calling Bryce Harper the next Dwight Evans. In another story, they’re interviewing him and he’s talking championships right now. Washington doesn’t know how the hell to handle a superstar in their town. Wow, where’s his ring? The Giants are wearing both of them. The one from 2012, and 2014. But no seriously, we love Bryce Harper. Good to see him back in camp and bashing baseballs and saying the hopeful things that young players say. On another note – we don’t really know what happened with his darling fiance. But Bryce man, this girl was a keeper. Whatever happened, we don’t care; but you better get her back and you better marry her. This sweet girl who happens to be an Ohio State University Alum like my wife favorited the sweetest tweet in the history of tweets coming from a baseball account tonight. The tweet was really designed to get my wife going. She says our daughter is NOT named after who we think will be the best young player of her generation. She says she thought of the name driving one night. This is not a true reflection of events. I thought of the name, for the obvious reasons; because of the outfielder for the Nationals who I have followed since he was about 14. My wife can re-write history however she wants. Our daughter has her name because of a baseball player. 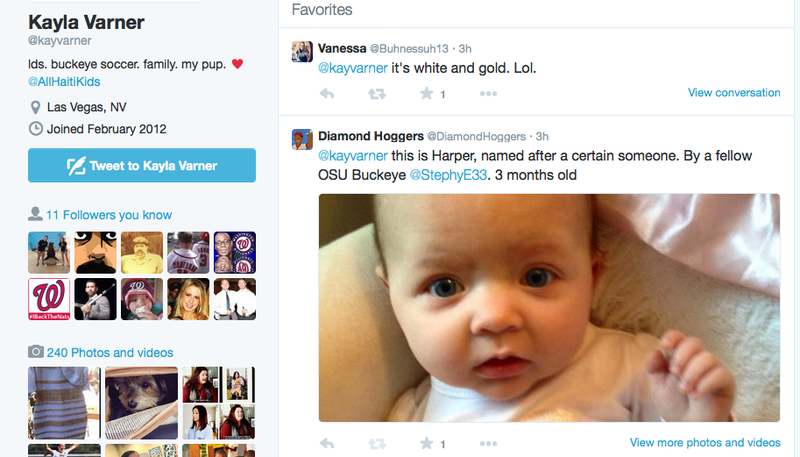 And in closing, Kayla Varner is a sweetheart. No matter what Bryce hits this season he would be a tad better with her by his side off the field. Seems like a sweet girl and is every bit as pretty. Do the right thing Bryce! As Matt Damon says in Good Will Hunting, go see about a girl. Whatever is going on, fix it like a hitch in your swing, kid.